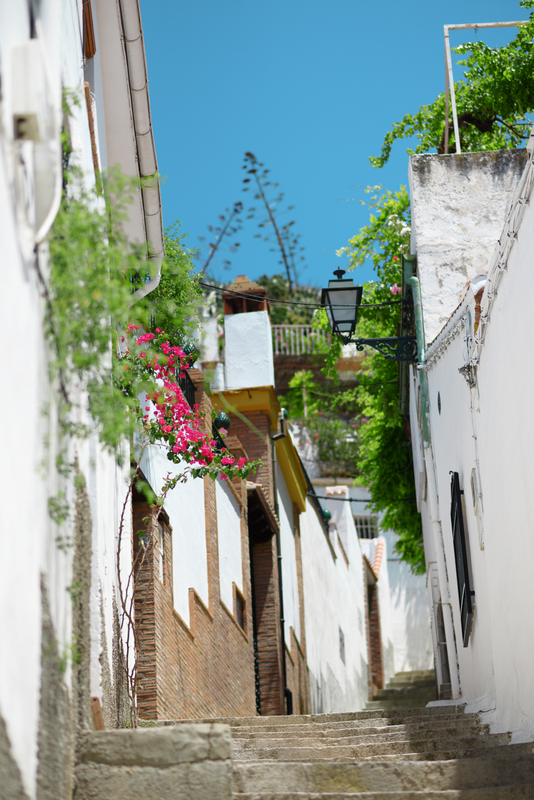 Granada: one of the only major cities in Spain that still serves free tapas with drinks. Among other things. Granada, oh Granada. Finally, we can talk about Granada: one of the only major cities in Spain that still serves free tapas with drinks (Alex got drunk for several meals on my behalf until we figured out that the rule also applied for mosto). A young traveller’s paradise, it would seem.. not that free food is a definitive factor in rating a city. But it helps. It also helped that our apartment hosts, Christian and Sabrina, were some of the loveliest people we’ve ever come across while traveling – Christian sat down with us over an hour and a bottle of red when we arrived and walked us through every one of his favourite local spots, all the touristy things to do (or not bother with), how to bypass queues, what foods to try… Albayzín (where the apartment is located) is the best, he proclaimed proudly – hands out over the city from the rooftop terrace. He paused and looked at my DSLR, “also, there are no pickpockets”. Over the next couple of days, we ticked off every item on his list and definitely felt like we’d had the best possible experience of the town. 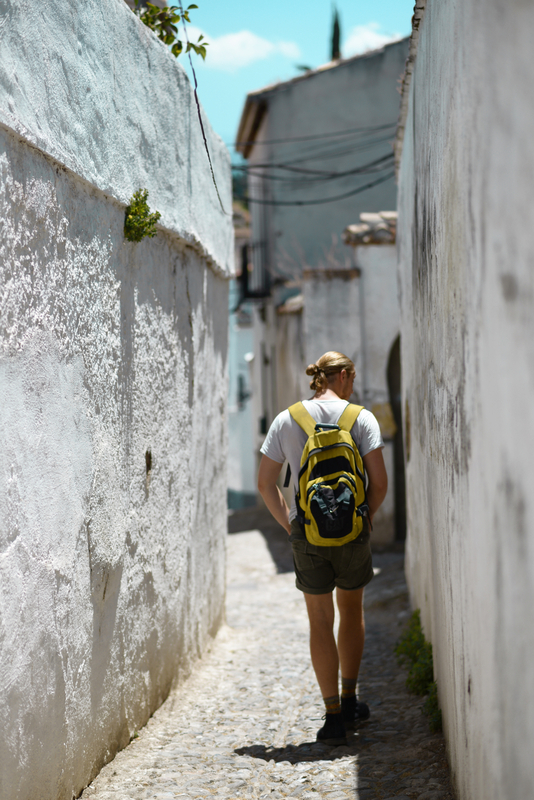 One of more memorable afternoons was spent sweating our way around the caves and hills of Sacromonte, colloquially known as the gypsy quarter, rich in flamenco, wine, white washed murals and thousands of years of history. Having grown up obsessed with Andalusian gypsy music through my piano, violin and dance studies, as well as it being the primary inspiration for my final year Music Extension major composition, this was likely as high as my heartrate had been since Alex and I lost each other while Metros in Paris. Even during siesta, it was so evident where original gypsy music came about, and how the Romantic greats passing through were inspired to communicate the community fire and passion for performance – clearly a key factor in why Granada was decided to be my first ever taste of Spain over Barcelona or Madrid, say. Coupled with the fact that Granadians have a knack for arranging things vertically on white walls, I was sold. That night, we watched a wildly impassioned flamenco performance in a cave on the hill, and wandered home in a tapas coma. Mr Grandison and Mrs Shields: if you’re reading this, Debussy nailed Estampes. I LOVE how the pictures transport you! Beautiful blog!